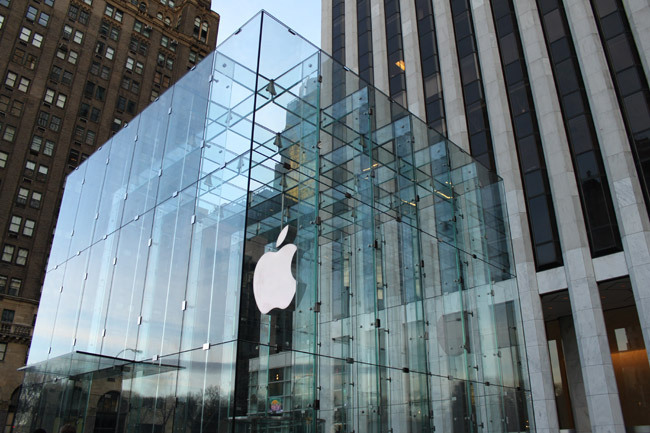 With the market's direction becoming tenuous, we can explore option trading opportunities in Apple (NASDAQ:AAPL) that do not rely on stock direction. It turns out, that over the long-run, for stocks with certain tendencies like Apple Inc, there is a clever way to trade market anxiety or optimism before earnings announcements with options. Note: Apple Inc has announced that it will release its next earnings report on August 1, 2017. The goal, is benefit from a unique period where over a very short time frame when the stock might move 'a lot', either due to earnings anxiety (stock drops before earnings) or earnings optimism (stock rises before earnings) but taking no actual earnings risk. We are testing opening the position 6 days before earnings and then closing the position the day of earnings, but before the news. This is not making any earnings bet. This is not making any stock direction bet. Since Apple Inc releases earnings after the market closes, we can use the '0' days before earnings setting, otherwise we would use '1' day before earnings. We see a 59.3% return, testing this over the last 9 earnings dates in Apple Inc. That's a total of just 54 days (6 days for each earnings date, over 9 earnings dates). That's an annualized rate of 400.8%. We note that one of the trades was break even, so it does not show up in either the win or loss column. We can also see that this strategy hasn't been a winner all the time, rather it has won 7 times and lost 1 time, for a 87.5% win-rate, or 77.8% if we include the trade that was breakeven. The author is long Apple (NASDAQ:AAPL) stock as of this writing.